Recapping or refacing staircases is the replacement of old carpet or wood on stairs to new hardwood treads. This process avoids complete replacement of the staircase and saves time and money. 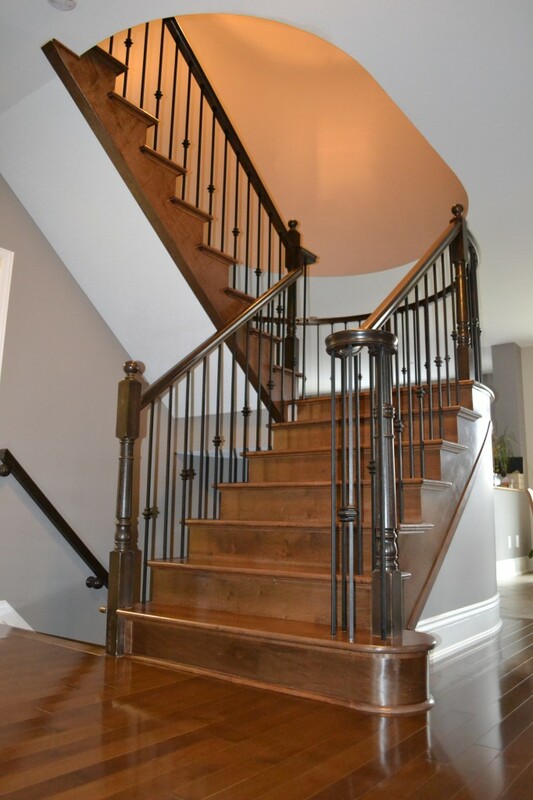 There are many options when it comes to replacing your existing staircase into hardwood. Stairs can be transformed to include all wood or wood treads with painted risers. Keep in mind there is also the choice of choosing new balusters newer posts and railing. Our staircase experts can explain your choices and help you make decisions.